﻿Mercs and Hummers aren’t the only things going south when Emma jacks the wrong car and lands in the middle of a lethal conspiracy. She soon finds herself on the run and out of her depth with the CIA hot on her trail and her own crew baying for her blood. Gary Carson starts out with a gritty, streetwise crime tale which he enlarges in scope and complexity until it transforms into a full-blown political thriller. The process is a risky one and while it kind of worked, I can't help feeling that a good story may have been sacrificed by striving for the bigger bang. 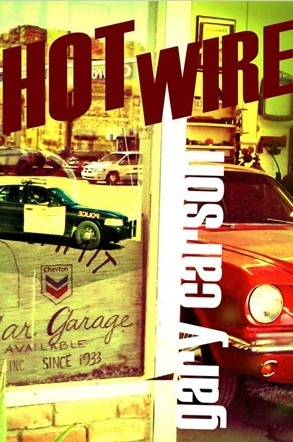 The unexpected turns in an already fast-paced plot might make you wish your Kindle came with a seat belt, but if you hold tight in the curves Hot Wire will give you a decent ride. There is a strong sense of place in Carson’s skillful imagery and his well written action packs a solid punch. The choice of a first person narrative also proves to be an excellent vantage point for the reader and gives ample opportunity for bonding with a sassy and likable protagonist. Hot Wire has some real nice touches. It also poses a few questions with its plotting. I'm not totally convinced by the answers, but it was still an enjoyable read, and with a little less ambition and a touch more gutter it would have been a stormer. You know, it just needed a few more dead hookers.